Conor McGrgeor wished both Dustin Poirier and Nate Diaz the best of luck ahead of their fight at UFC 230. Conor McGregor’s feuds with both Dustin Poirier and Nate Diaz were known for being very personal at the time, but it appears the Irishman has a lot of respect for both fighters having shared the Octagon with them. McGregor defeated Poirier back at UFC 178 in September 2014 after a back and forth feud that involved several heated head-to-heads. The Irishman then went on to fight Diaz twice in 2016 in encounters that featured no end of bad blood between and heated exchanges. With Poirier and Diaz now set to meet at UFC 230 in Madison Square Garden on Nov. 3, McGregor last evening was asked to give his thoughts on the fight at the UFC 229 pre-fight press conference. Despite his feuds with both men in the past, McGregor spoke respectfully about both Poirier and Diaz and wished them the best of luck heading into their clash in New York. “I think it’s going to be a great fight,” McGregor said. “They’re two amazing fighters. “Nate Diaz is as tough as they come [and] Dustin Poirier took that loss on the chin and has comeback and showcased phenomenal fights and wins inside of the Octagon. “I’m very, very much looking forward to it. We will see what happens after. McGregor has previously spoken of his desire to fight Diaz for a third time and complete their trilogy which is currently locked at one win each. 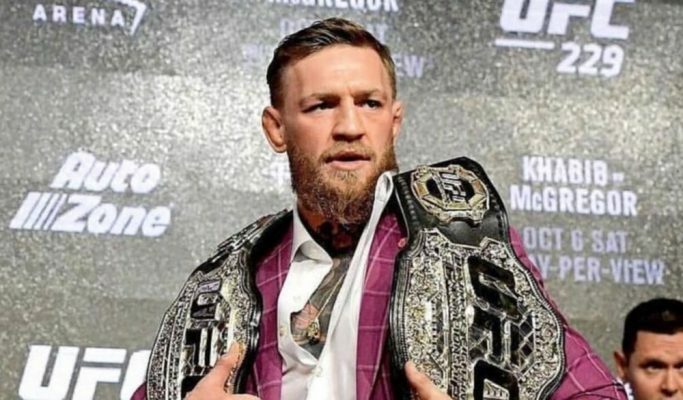 With the Irishman signing a new six-fight contract with UFC ahead of his fight with Nurmagomedov, the prospect of further fights with both Poirier and Diaz could become a reality in the not so distant future. Read the full news on McGregor new UFC contract – HERE.